Greg Gall specializes in ensuring that a family's assets are working together with optimal efficiency. He believes that there is as much to be made in avoiding loss as there is in chasing market returns. 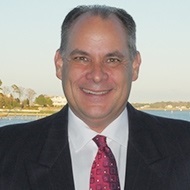 Greg followed both of his parents into the financial services industry after graduating with an accounting degree in 1988. Greg enjoys working with complex financial situations, estate planning and charitable gifting.